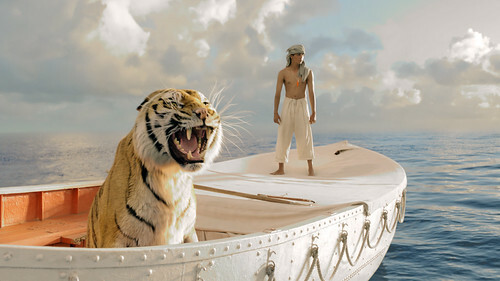 Remember The Toy Tiger from these "Life Of Pi" -inspired photo shootings? The CatMom, inspired by BatDad. After seeing this super hilarious BatDad, I had to reveal my fictional alter-ego, CatMom. As a mom, she is kind of an opposite what I try to be, yet, she's there. I confess! The Littlest Ad Agency has kept me a Little Bit Busy! Dear reader, who happened to come here to check my abandoned blog. I'm back! And so nice to see you too, you look awesome! Yes you do! My kids are doing great and growing so fast. "The Littlest Ad Agency, Adele Enersen is one full service creative designer On the Go. This is truly a small business with big ideas, where clients and cooperators always deserve and get individual treatment. Even every business card is hand drawn and personalized." Beside my busy Little Ad Agency, I also have a big, huge, GIGANTIC new book news. 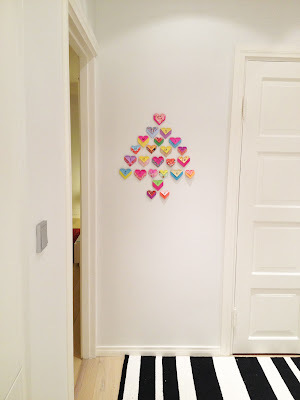 I miss posting you regularly these simple, funny baby pics, so I decided to make a little serie of my old Daydreams blog cut outs and unpublished photos, which did not end in the When My Baby Dreams -books or calendar. Like this snail above, I just did not think it was interesting enough, and snail are not that nice creatures anyway, so I made another picture with this mushroom -idea and got inspired of those pantyhoses as a hat, in bunny picture. By the way, here's another version from that bunny set up, where Mila is streching and picture is a bit blur. Stay tuned, I have something 'new' next week. PS I know I've been a bit too upset about that my pictures been shared and copied and posted again in the Internet. This is not a permission to use them without any though, but I just wanted to let you know, that I don't feel so sensitive about sharing them anymore. You know? When 'When My Baby Dreams' -pictures started spreading like a crazy, I was living with that baby at the moment, and afraid as a mother. Now my baby girl is 'gone' and I'm living with this amazing toddler with a huge personality, these photos seem more distant to me, they are memories. Now they are more like an art, not a pieces of my owl flesh and blood. I know this has been a paradoxal, since I've enjoyed hugely sharing my photos with you, and then again, been too sensitive about it, when other people share my pictures again and again. Since I'm now in this brutally honest mode, I would hope only one thing. If you like my baby pictures, the way I truly hope you like them, buy my books. And calendar. I wish I could stay home with my kids, making more books and other inspiring things for you guys. I got inspired of these beautiful 'Life Of Pi' -posters and movie still photos, and just wanted to try my old tricks with the baby Vincent. I bet it would have been easier to capture a real tiger in these pics than my son. He just wriggled and tried to strangle his toy tiger. As you can see. Well, I guess there was no dream to catch. I shall call these: 'The Nightmare's of the Toy Tiger'. Peek-a-boo! Yeah, this was more like her thing anyway. I took a quick snap of her, since she insist. PS I haven't seen 'Life Of Pi' -movie yet, but I'm keen to see it soon. I've read the book 2 years ago and liked it a lot, such an amazing journey it was! I hope that movie is as amazing as the original story. This is the book I'm reading right now (along with the Roald Dahl's biography, 'Storyteller', which I'm listening as an audiobook, since that's the best way to 'read' a book* while you're playing with your kids, cooking or excersising at the gym...). I usually prefer fiction books, but this surely got my attention after it popped up from multiple connections. In the book Bettelheim analyzes fairy tales in terms of Freudian psychology. Very interesting! * Ok, I might be a bit crazy person, but here's my way to listen audiobooks. I put the Kindle on my head with my hair, secure that with hairpins, and there it is. Close to my ears, since I can't use headphones when I'm supervising my little ones, but I also hear if Mila drops a tiny plastic pearl on to floor and Vincent's starts to sprint towards to it, drooling. The Daddy has a new hobby: Rescoring movie scenes! I haven't been able to write anything about me and my news here in a while, since it is feeling that I'm using all the words in the world in to my other projects. The new book is bubbling under! In the mean while, here's something my husband has been up to! He is rescoring movie scenes with his music. If you are a film freak (like we are) or just love power of the music, you may find this blog interesting! Feel free to ask him to score your favourite scene! PS. I had to add this photo of Lasse here, this post was looking so incredible dull without it. Maybe there is a hint of what film score he is planning to take over in his next blog post? Lately I've been busy as a Mila's robot's factory worker. I hope there is a union for this job, since I need to bargain more time to blog and do other stuff too! Prince Charming...in a Gangnam STYLE! I just had to find some other model for my doodelings since Vincent just learned to crawl so fast, I can hardly capture him with my camera. As you can see, I'm still inspired about the fairy tales. There's life after Christmas (despite that Mayan apocalypse prediction) ...and left over gingerbreads from the Christmas tree. They are perfectly ok after one week hanging around, but I wanted to make them even better. S'mores! Finnish Budapest chocolate fondant, marshmallow and gingerbread heart. 20 sec microwaving - perfect! And here's my Christmas flowers 8 days after Christmas eve. To make it more interesting I put frozen cranberries to it's water. Flowers were nice 2 more days and berries coloured water eventually red. ...and here's feelings from our Christmas eve! When My Baby Dreams of Fairy Tales AVAILABLE NOW! It's happening, my second book is out there! Yay! Original Scandinavian christmas tree is usually a bit moderate compared to it's sparkling and glamorous American cousin. There's straw ornaments, flag and paper chains, simple gingerbreads and candles. I wanted to have some elements from both, plus something funny, and wanted to avoid too fragile stuff…(since there's always this 2 years old little elf, sneaking behind your back and trying to eat all the gingerbreads) and not to go over the top with glitter stuff. When I was a kid, watching the birds from the window was one of my favorite things. Since our current home doesn't give that pleasure to Mila, I wanted to give her joy to spot these little fellows from the tree, inside our home. Ok, a bit more "proud mommy" -talk, but I just can't believe that MILA actually made that white snowflake! I think it's the coolest decoration ever! And this is the tree from kids point of view. "...oooh, gingerbread..it...is...so...close...hngh...yet..so...far!!!" Since I'm now in this "Go, Fulfill Your Dreams!" -mode, I had one funny wish for myself too. To be the Santa Lucia and bring the light to this darkness. Today is Saint Lucia's Day. I was at the gym today when I saw in TV new Finnish Lucia, and realized that it was one of my childhood silly dreams to be Santa Lucia -maid, and obviously that did not happen. In kid eyes it was princess-like pretty blond with almost frightening candle crown, (we all heard urban legends about misfortuned Lucia maids with burning hair), I didn't care about the deeper message, since that was kind of grim story. There's multiple reasons why they never picked me, I'm not swedish speaking finn, I wasn't blond and pretty enough, I was not a strong singer, I'm not religious, and I was not exactly the "bring the light" -personality nor teachers pet as a kid…and most of all, I think I never even told anybody that I would like to be a Santa Lucia. Since I was unpopular ugly duckling as a kid, I was yarning that spotlight and little fame to make me believe I'm good and nice. It is simple fact of life, that every time in school if somebody is chosen, others been rejected, even if they could be as good. In real life it's more like you are just not yet discovered. And then I realized none of those reasons matters anymore, since I'm an adult and in control of my own life. I can be good and nice to other people, and then I am good and nice. I can be Lucia maid everyday if I want! Or Mrs. Lucia, since my maiden days are gone. I was not up to playing with open fire and candles, so I made this picture: My Santa Lucia -moment. And since I was doing this, why not to have thick eyelashes too? I've dreamt about them as well. Haha. I sang to the kids this song. Vincent, my other light of my life (or light in my artistic candle? ), is playing (a bit surprised) candle, meanwhile Mila was actually trying to break in her advent calendar and eat all the chocolate. So, now I'm going to fulfill her dreams too, and give her extra piece of chocolate today, just for today. What are your wildest dreams for yourself or for your baby in 2013? Write them down and you can win a copy of the When My Baby Dreams 2013 Wall Calendar! I'm probably not powerful enough (yet!) to make your dreams come true, like a fairy godmother or a good witch (though wouldn’t THAT be awesome! ), but sometimes things really do happen when you write them down. Two years ago I wrote on my blog that I considered myself more of a storyteller than a photographer, and it was practically that simple sentence that turned me into an author. So dreams do come true! Rarely for those who wait, though. I believe revealing your dreams and making yourself responsible for their pursuit is paramount, so tell me…what do you dream??? or sending your dream as an email to whenmybabydreams(@)gmail.com (don’t forget to remove parentheses from the @). Conquered: The Fear of Blank Paper. But look at it, it is scary! I just finished the first draft of my (hopefully) next book, after enourmous writer's block. Yay! Btw, did you know there is a real word for fear of the blank sheet? ...and you are half way there! Loosely translated to words, it's something like: aircraft-jet-turbine-engine-assistant-mechanic-non-commissioned-student. I wish you all good luck with your papers. What ever you do, don't show them your fear, they take advantage of it! There has been couple of rough days at the "office", since I've been writing and illustrating my next project, and building this new author website & blog. Luckily baby Vincent is finally learning to chill, crawl and he sleeps every other night, but he is still most of the day in my arms, even right now, when I'm writing this. So, I decided to make him my assistant, at least in virtually. Fan Art Competitions, thank you for so many lovely fan photos! 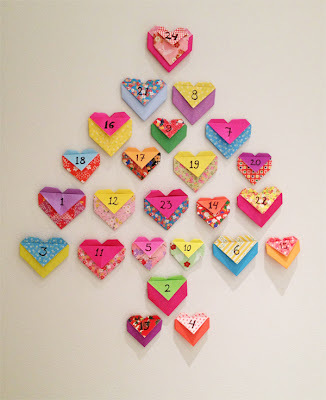 I wanted to make a simple home-made calendar for Mila. bigger heart would be nice too. Or star? Cute stickers and organic, fair trade chocolate chips.